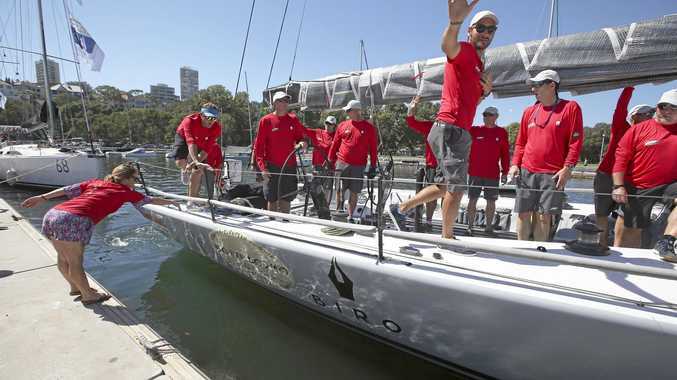 BLACK Jack has won the battle to be the first Sydney-to-Hobart boat out of Sydney Heads for the second year running. Last year's line honours winner favourite, Comanche, rounded the mark in sixth as the 85-strong fleet headed south, but quickly made up ground as she got into clear water and away from the huge spectator fleet. Queensland boat Black Jack reached the first rounding mark in just over 13 minutes, ahead of supermaxi rivals InfoTrack and Wild Oats X.
Hong Kong's Sun Hung Kai Scallywag was next followed by the 60-footer Winning Appliances, which has two-time world surfing champion John John Florence aboard. The spectator fleet was one of the largest in recent memory. The fleet set out in around 10-12 knots of east-to north easterly breezes and relatively flat seas. Former federal Liberal Party deputy leader and foreign minister Julie Bishop started the race on the 66-foot Wild Oats X, and as planned she disembarked well inside the first hour. 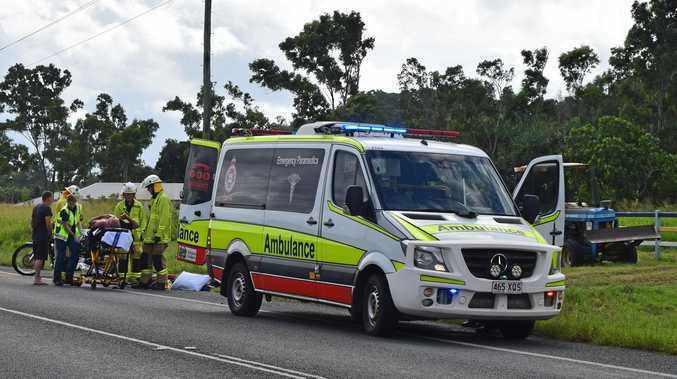 "I have been through this time and time again, particularly the bit where I have to jump off as we turn right and head down to Hobart," Bishop said. The boats were sent on their way by the traditional cannon fired by Denis O'Neill, who was aboard 1968 handicap winner Koomooloo. Comanche's 2017 race record of one day, nine hours, 15 minutes and 24 seconds is not expected to be threatened. While the nor'easters are expected to pick up to 25-30 knots later on Wednesday, the fleet is tipped to encounter lighter and trickier conditions on Thursday. Army sailing boat Gun Runner, the smallest contender in the fleet, was the last competitor to clear the Heads.